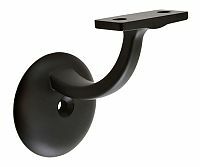 This attractive jumbo wall/handrail bracket is ideal for where extra durability is needed. Single screw mount for ease of installation. Rail Mounting plate: 1-13/16in. L X 3/4in W.
Comes with: (1) #12x2in. 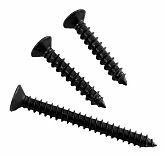 wood screw and (2) #12x1-1/4in. wood screws.